Part of a series that examines California's budget and its relationship to the state's economy. 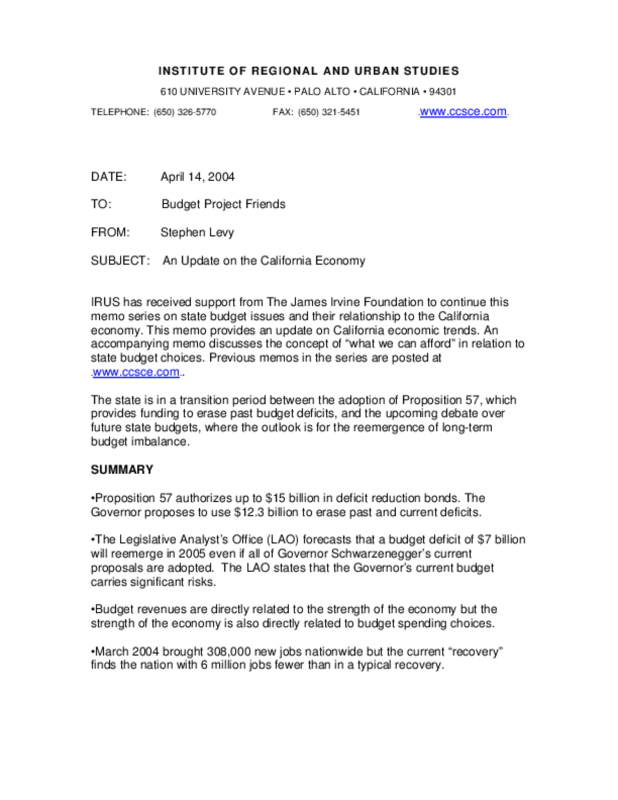 Provides a summary of Proposition 57, budget deficit forecasts, job creation and loss, and the relationship of the national economy to the state economy. Copyright 2004 Institute of Regional and Urban Studies.